A few years ago, a church I attended in Arkansas hosted a Thanksgiving service to raise money for the ministerial alliance. The alliance asked our church to lead in the praise and worship, and I played the piano on the worship team. Looking over the congregation, I noted a pastor from another church who, no matter what we sang, refused to either clap his hands or raise them in worship. He simply sat in his pew with his arms folded. That struck me as strange, because outside of church he was a happy, vivacious, demonstrative man. At this point, he began to look around for help from the people who had gathered, including my pastor. He asked, “Is he always like this?” to which my pastor replied, “Hey, he’s going easy on you.” Everybody gathered around laughed. It is sad that many church members (or goers) around the world are more concerned with offending their denomination and the people in the next pew than they are in obeying the Word of God. The congregation led by the pastor in my story will have trouble obeying Scripture because he was not setting an obedient example. In a simple sense of the word, this pastor lacked character. Originally, this word meant to cut, to scratch, to mark. It indicated the tool or agent that did the marking, and eventually came to mean the mark or the impression that was made. It also indicated an impression made in a wax seal. Or, think of a coin: its image, numbers and letters bear the exact image of the raised numbers and letters of the original die from which the coin was cast. 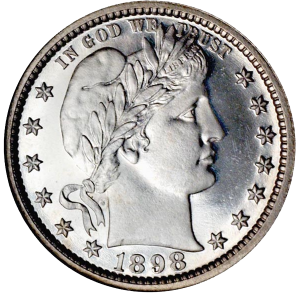 To see a dime or a quarter is to know exactly what the original die or stamp looked like. Jesus said, “Anyone who has seen me has seen the father” (John 14:9). This is true, because He was the “exact representation” of God, “stamped with God’s own character.” To see Jesus is to see God, for He is the exact image of God, the perfectly engraved representation of the very nature of God. When I am at my church, what do people first see in me — ­­­­­­­­­the Kingdom of God or a denominational version of God? Am I stamped with the very character of God? Do people see Jim or Jesus? As a disciple of Jesus, am I exhibiting the character of Christ the way that Jesus the Son bore the character of God the Father? When people see the church out working in the world, whose character do they perceive? Are they seeing the compassion, mercy, patience, and love of God, or do they see the values of MTV, ABC, Wall Street, Hollywood, Cosmopolitan, and Men’s Health? We must all ask those tough questions if we are going to live the character of Christ and represent God in all we say and do. Jesus said, “Anyone who has seen me has seen the Father.” Now I want to be able to say, “Anyone who has seen me has seen Jesus.” Maybe one day, at my funeral, some kind soul will say, “Jim was the most Christ-like person I’ve ever met.” Then I’ll know I got character.